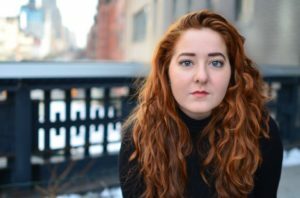 Allison is a junior at Marymount Manhattan College pursuing a Bachelor of Arts in Theater Arts with concentrations in Directing and Performance, and dual minors in Arts Arts Administration and Communication. She has been an active student leader on her campus, having started a classical theater performance group for students, as well as now serving in her third year as a peer mentor to college freshmen, and second term on the executive board of the Student Government Association. This past school year Allison also worked Off-Broadway with the historic Women’s Project Theater as an administrative intern, and during her winter term also got to work as an Assistant Director for TPE’s Classics in Performance Class in the production of The Trojan Women. Allison is thrilled to be back for what will be her 7th summer with Traveling Players, and to be in her 3rd year on staff with the High School Ensemble, where she first started in 2012 as a camper, and to be working on Loves’ Labour’s Lost.